To mark Veterans Day and salute the brave Americans who have defended our freedom, I’ve written this open letter to my children. It’s a message worth sharing. 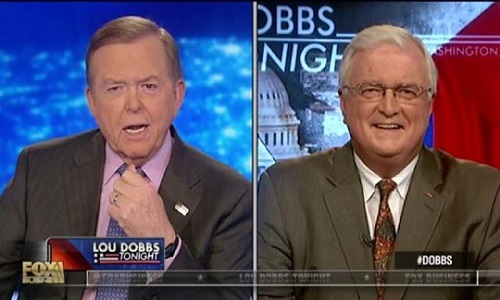 Van Hipp (right) and Fox Business Channel host Lou Dobbs. 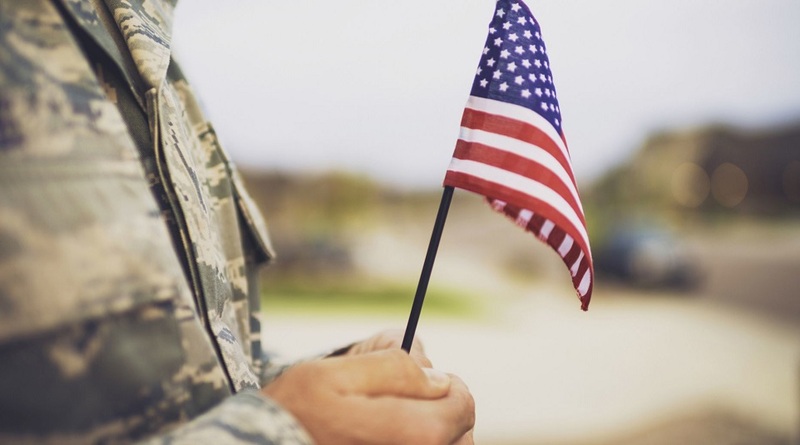 It is important for you to understand what Veterans Day means and the role our military veterans have played to give us this land we call America. Veterans Day is a day for all of us as Americans to honor our men and women who have served in the U.S. armed forces. While Memorial Day honors those who made the ultimate sacrifice for our country when in uniform, Veterans Day is different. It celebrates the service of all of America’s military veterans. Those who have served in our military since our nation’s founding have been on the front lines to keep America safe and secure so that we can be free. Actually, a number of your ancestors were some of America’s first veterans and wore the uniform during the American Revolutionary War to give us our independence. In fact, several were among the Scots-Irish and French Huguenots of the backwoods of South Carolina who came together at the Battle of Cowpens to turn the tide in America’s favor. This Veterans Day, it’s important to understand that the reason we even have a federal government and the reason the states came together in the first place was to “provide for the common defense” of the American people. Always remember that is the primary purpose of our government. And it is American men and women who have worn the uniform – our veterans – who have kept us safe and provided for that common defense. When John F. Kennedy was president, some 52 percent of all federal spending was for national security. Today it is only about 16 percent. So when you hear so-called “experts” say we spend too much on defense and taking care of our veterans, they really don’t know what they’re talking about. Many of our veterans have health and medical problems because of their selfless service to our country. Whether it’s a vet who is an amputee, or one who is suffering with post-traumatic stress disorder (PTSD), it’s important that we help them and never forget what they have done for our country. In addition to the role our government plays, it’s great to see private citizens – who exemplify the American volunteer spirit – get involved to help our veterans. Look at Ben Patton, Army Gen. George S. Patton’s grandson. His Patton Veterans Project has helped many of our vets dealing with PTSD. Then there’s Michael Reagan, President Reagan’s son, with the Reagan Legacy Foundation. The foundation has done a great job to honor our WWII veterans and provide scholarships for the crew and families of those deployed on the USS Ronald Reagan. I am concerned that many of your generation don’t understand what it really means to be an American and don’t have an appreciation of what our veterans have done over the years for our country. Unfortunately, we don’t emphasize American history and civics in our schools like we used to. A recent study found that 22 percent of millennials weren’t sure if they knew what the Holocaust was. And 67 percent had not heard of Auschwitz, the Nazi death camp where more than 1 million Jews and others were murdered. Education is a national security issue and right now we’ve got a real problem. God has blessed America over the years by giving us men and women who put America above self, put on the uniform, and are willing to give their lives for their country. Today we live in a free country and are safe because of our veterans. This Veterans Day, honor our veterans, go to a Veterans Day parade and bring your friends. And tell them what it means to be an American and what our veterans have done for them. Most importantly, thank God for giving us men and women such as these. This is the way to honor our veterans on Veterans Day.